There really are no such things as clones. As clones are an exact replica of the original, minute changes occur over time, so it can no longer be called a clone because it’s no longer an exact replica. They are called biotypes, and Nebbiolo (for example) has 2 of them…Nebbiolo Miché and Nebbiolo Lampia. These are also phenotypes. Huh. Bet you didn’t know that! 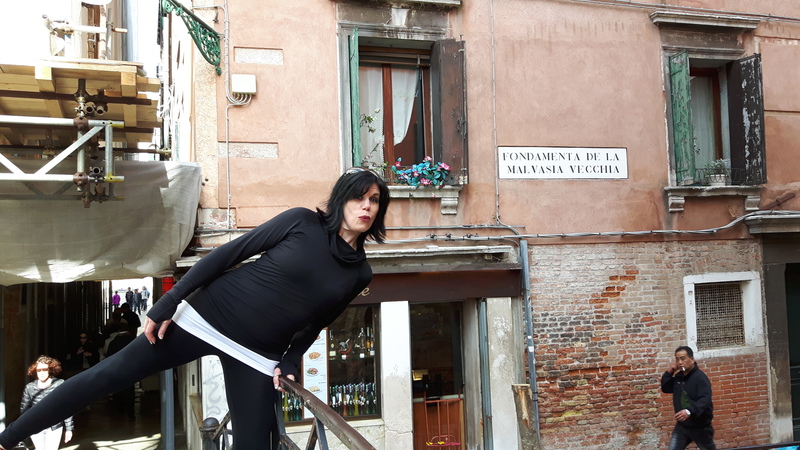 There are many streets with the word ‘Malvasia’ in them in Venice! 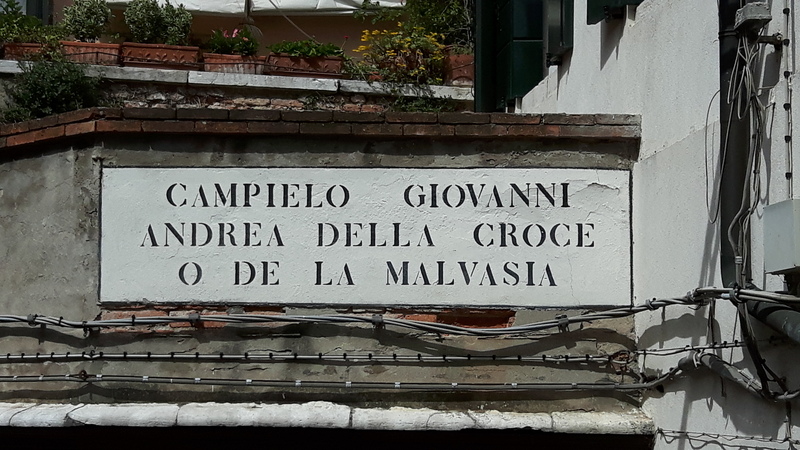 There is no such thing as Malvasia – Yes, that’s what we see on wine labels, but really, there are 17 different Malvasia’s and called something different depending on where you are. Seriously…be specific here, because Sir Ian might hunt you down and beat you with his book. Malvasia Istriana is from FVG (that’s Friuli Venezia Giulia), Puglia and Veneto, but mostly FVG. Malvasia di Lipari is from Sicily, and these are both white. Lest you be fooled, there are also RED berried Malvasia’s (confusing right?) Malvasia di Cosorzo is from Piedmont and Malvasia Nera di Basilicata is from…you guessed it, Basilicata! And this is only the beginning. For some light reading on the subject, pick up Ian D’Agata’s book Native Wine Grapes of Italy to read all about the exciting Malvasia’s (among others)! At Vinitaly, it was my mission to taste as many autochthonous varietals as possible, and I think I did fairly well. While most of us have tasted Fiano, Greco, Nerello Mascalese, Grillo and Verdicchio wines, how many of these others have you tasted? Other than Anatoli, whose grape count is 518 and growing, I’m curious to know! All this to say…I think another trip to Vinitaly will be in order to taste those that I missed, and add to my own ever growing list of grape varietals tasted! Until then…Cin Cin! This entry was posted in Life and Education, Tasting, Varietals, wine and tagged Alto Adige, autochthonous, Basilicata, biotypes, Campania, clones, Friulano, FVG, Italy, Malvasia, Malvasia's, Molise, native, native grapes, Nebbiolo, Piedmont, Puglia, red, region, Sardinia, Schioppettino, Tuscany, Veneto, white. Bookmark the permalink.